There are still a few days left for our 3 game holiday bundle sale! 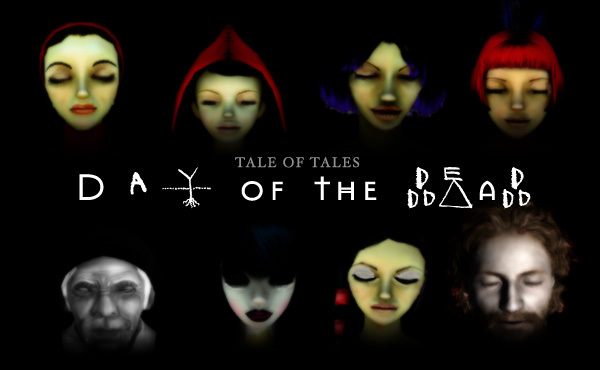 Thru January 3rd you can get The Path, Fatale and the Graveyard for only $10.99 via our ToT special sale page. When you buy this bundle you also get registration keys to play the games on Steam. 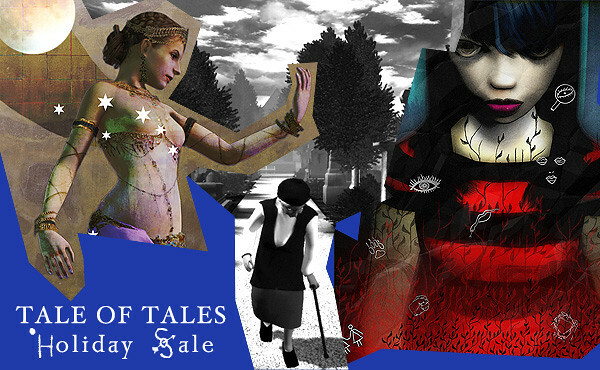 The kind folks at Steam have also put together the Tale of Tales bundle for sale there, if you don’t need the standalone download from us. 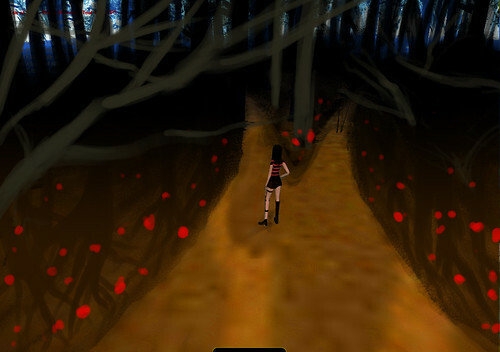 And The Path is also part of a special “Fright Pack” of scary games.. if you happen to like Art AND Zombies. 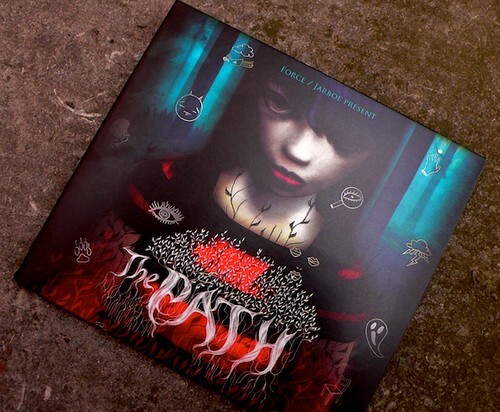 The Path original soundtrack CD is now available through our online store! Check it out here. We only have a few copies available but it will continue to be available through Paradigms Recordings until they sell out. 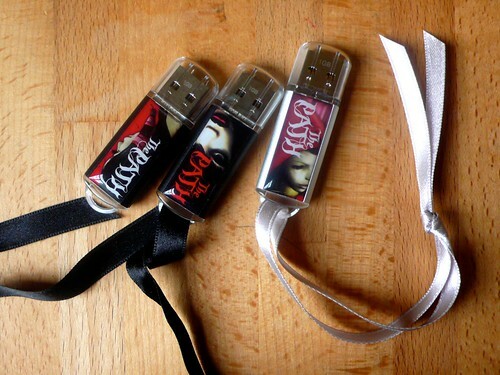 MP3 downloads will be coming soon! 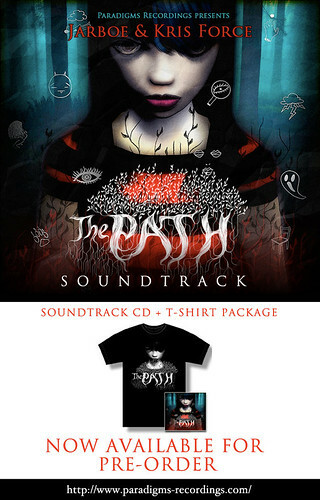 You can now pre-order The Path Soundtrack CD! Or choose the absolutely beautiful CD + T-Shirt package. All created by our friends at UK based label Paradigms Recordings. 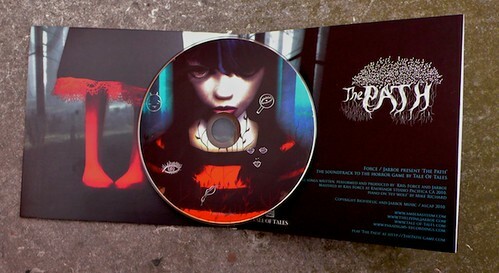 The CD is a limited edition digipak. Only 500 have been printed. Paradigms will be shipping the pre-orders at the beginning of May. 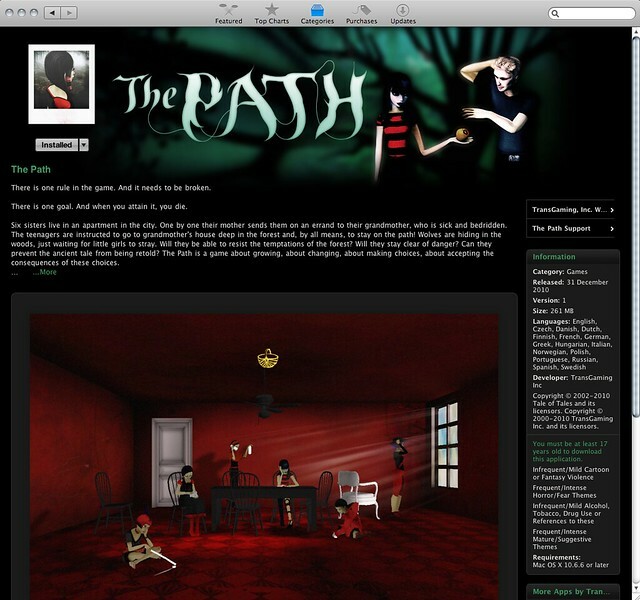 Paradigms Recordings is very proud to announce a rather special new release – “THE PATH” is the haunting soundtrack to the boutique computer game of the same name, developed by Tale Of Tales Studios. 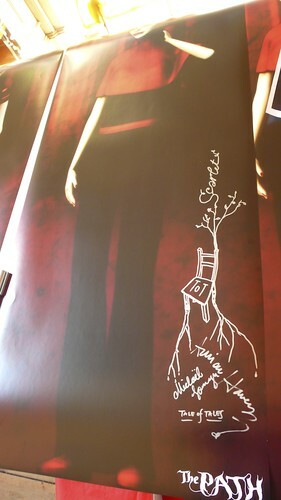 Kris Force (Amber Asylum / Neurosis) and the legendary Swans vocalist Jarboe were comissioned to compose the music for, narrate and vocalise this dark horror concept. The result is one hour of truly mesmerizing, disturbing, blackened fairy tale sonics. From delicate songwriting to Jarboe’s demonic, possessed rasp all wrapped up in dense, claustrophobic atmospheres and harrowing stories, this is some of the most potent work from these two distinguished artists. Needless to say we here at Tale of Tales are breathlessly excited to get the soundtrack out there! Our main blog may be closed but The Path blog rolls on! In fact, expect major announcements. 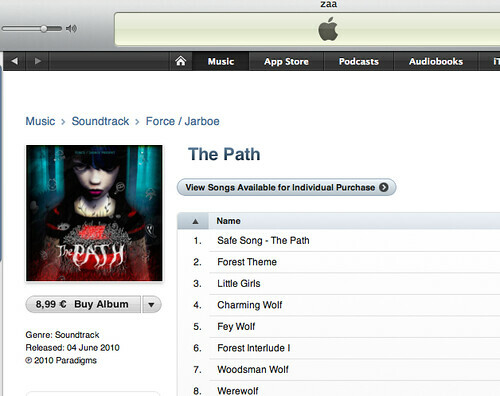 Including the long awaited, coming of The Path Soundtrack album, coming later this month! 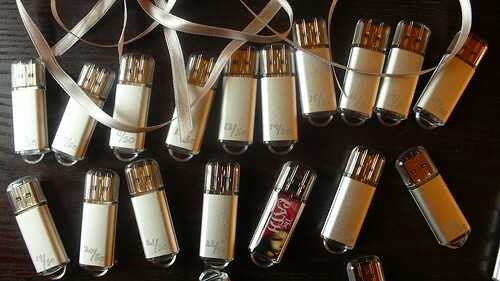 The special Anniversary Edition USB stick version of the game +poster is still available in our online store. And there is more to come. Keep an eye on this blog via RSS or follow us on twitter or facebook for updates! You are currently browsing the The Path ------ development blog weblog archives for the Promotion category.